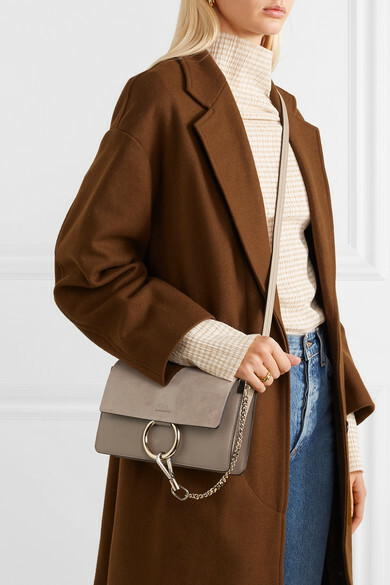 Chloé's 'Faye' bag was only released three years ago, but is already considered a classic. 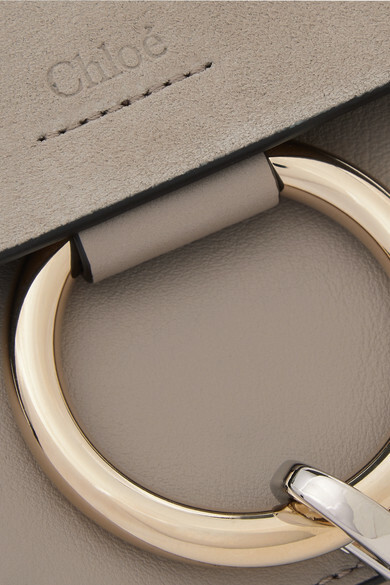 Crafted from a combination of soft suede and smooth leather in a warm shade of gray, this mini style is one of the house's most recognizable thanks to the signature equestrian-inspired gold ring. 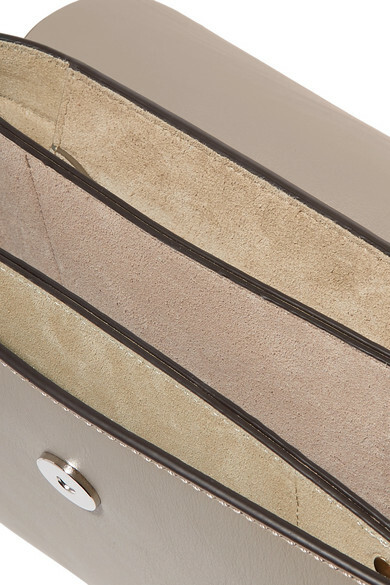 Roomy enough for your daily essentials, it opens up to reveal three internal compartments and a slip pocket. 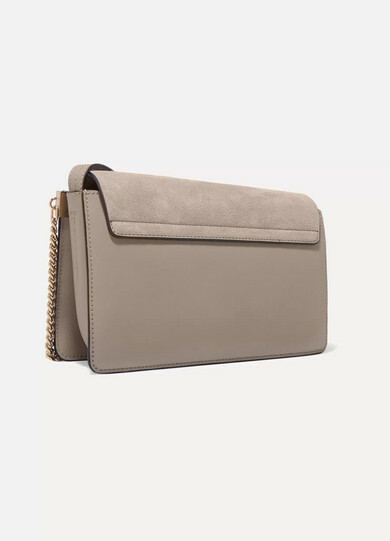 Adjust the shoulder strap to your desired length. 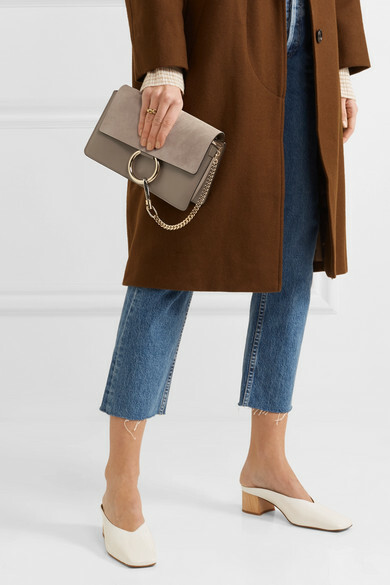 Shown here with: RE/DONE Jeans, Jil Sander Top, Isabel Marant Étoile Coat, BY FAR Mules, Sophie Buhai Earrings, Paola Vilas Ring.